The above version was released a month or so ago. I always seem to wait a few weeks before I install the new version – just in case any errors are found. I’m getting better at updating but with 5 galleries to do it does involve a lot of backing up of files & databases, just in case I mess things up. Even so, it does take several hours to complete it all. This entry was posted in My uninteresting stuff on May 30, 2014 by Sharpo. A pair of 37s but a bit of an anticlimax, as power was shut off before the signal & they just drifted past – even though it is uphill. This entry was posted in Sharpo's World video updates on May 23, 2014 by Sharpo. 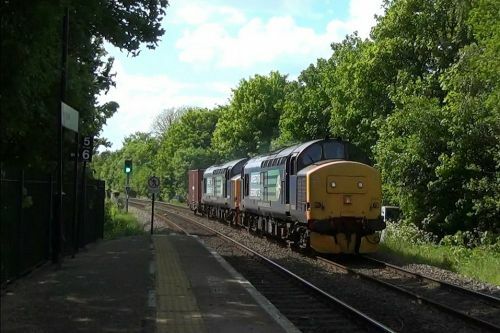 I went to the station to see a freight train, but it went via the Lickey instead. At least I saw this late running train from London to Kidderminster, better than nothing at all. This entry was posted in Sharpo's World video updates on May 22, 2014 by Sharpo. Another warm & sunny day at Arley. 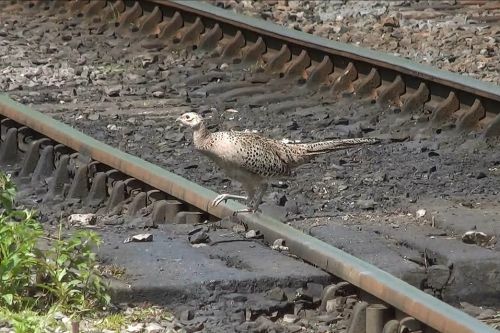 Once again the usual shots plus a pheasant using the foot crossing. Rain stopped play the previous weekend & we didn’t make it to Arley, but this day was warm & sunny. The main loco of interest was Deltic 55019 on a driver training run, and the first time I had seen it run since arriving a few weeks ago. Everything else was pretty normal, most of the time I’m holding the camcorder reasonably still & level, but I do notice a few odd angles occasionally – probably because I was holding my arm through a barbed wire fence!! 55019 is seen arriving & departing, making quite a noise! 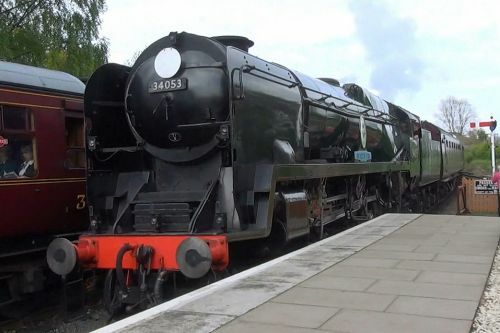 A sunnier day and 5 trains filmed, 34053 seen twice. This entry was posted in Sharpo's World video updates on May 13, 2014 by Sharpo. We didn’t stay long today, think it was cooler & only 4 trains filmed. I do wish I could do all these postings in order, or at least in the order I add the images to the gallery – but it will never happen. 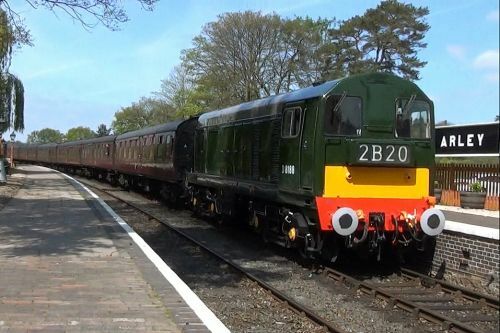 It was a Bank Holiday Monday, the weather was fine and 6 trains were filmed. This is the one working with a Class 67 that I can easily see going up through Old Hill. The downhill runs are less interesting. 1H38 runs from Kidderminster to London Marylebone. 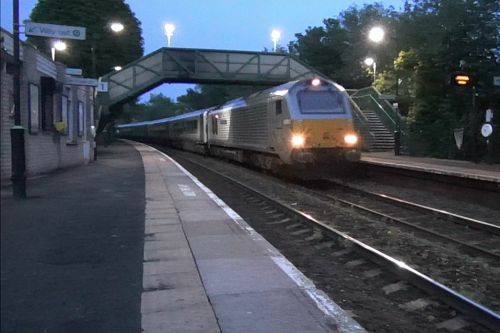 Almost 11pm and very dark, and it was moving pretty fast – not surprising with such a light load. 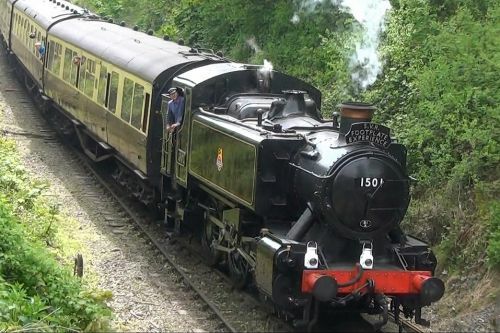 The return run to Stafford of a railtour which had steam from Westbury to Plymouth & back to Bristol. To be honest, I didn’t see which loco was leading & the video isn’t clear either! Another dark shot of this train slogging up the bank at Old Hill. Think I’ve got the manual focus setting right for this sort of shot now. Nothing is too blurred & I can read the loco number as it passes. 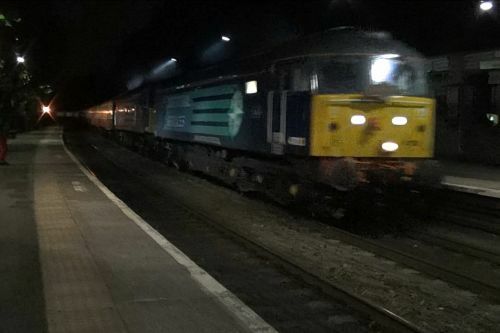 I don’t normally go for the late shot of this train on a weekday, but a railtour with 47s was due half an hour later!! 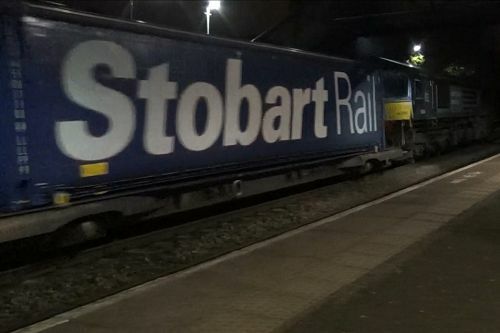 Always too dark for the loco, but you can read Stobart on a container! 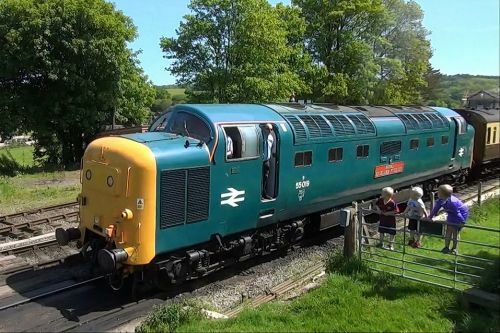 The Class 37 had been sold some months ago and an attempt had been made to move it, but there had been a problem. 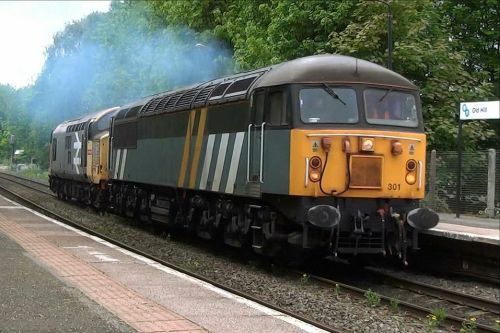 This day didn’t start too well as the Class 56 did not leave Washwood Heath at the booked time and the working was cancelled. 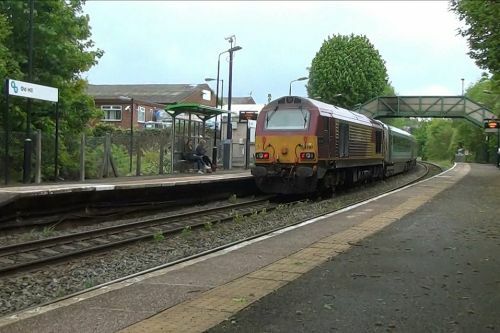 A new schedule was soon added & I was able to see it rolling down through Old Hill as it headed for Kidderminster. I was ready for the return run but as usual, was worried about a DMU getting in the way at Old Hill – even with the quiet Sunday service. You can see what happened, a DMU was showing as passing at the same time but cleared about 30 seconds before the convoy passed. 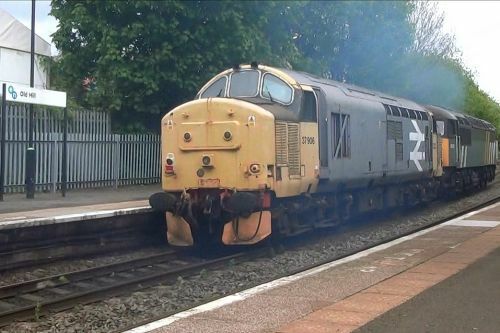 I continued filming as the sound of the DMU drowned out the sound of the diesel & I wasn’t sure how far away it was. This entry was posted in Sharpo's World video updates on May 12, 2014 by Sharpo.